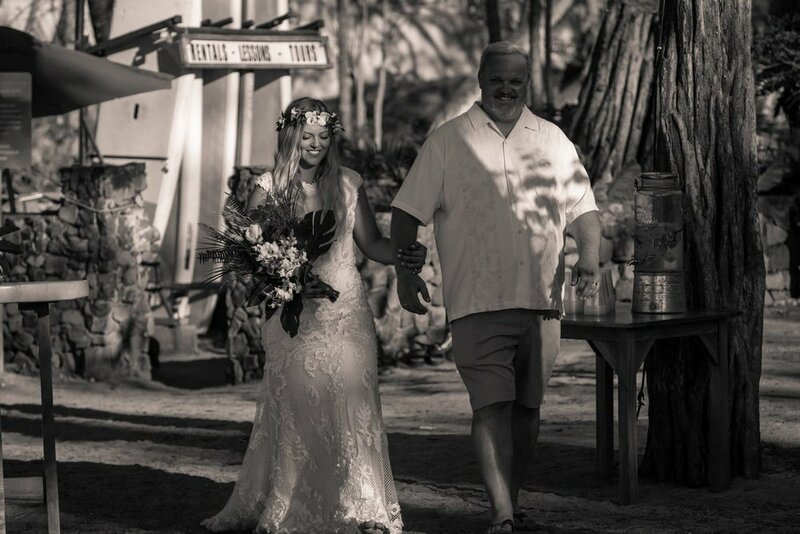 Cassie & Jay tied the knot on the beach at Langosta Beach Club in Guancaste, Costa Rica, on a gorgeous, sunny, Saturday afternoon. We started the day with the bridal preparation session in Cassie's suite at Hotel Tamarindo Diria where she, her family, Jay's mother, and bridesmaids got ready for the wedding. 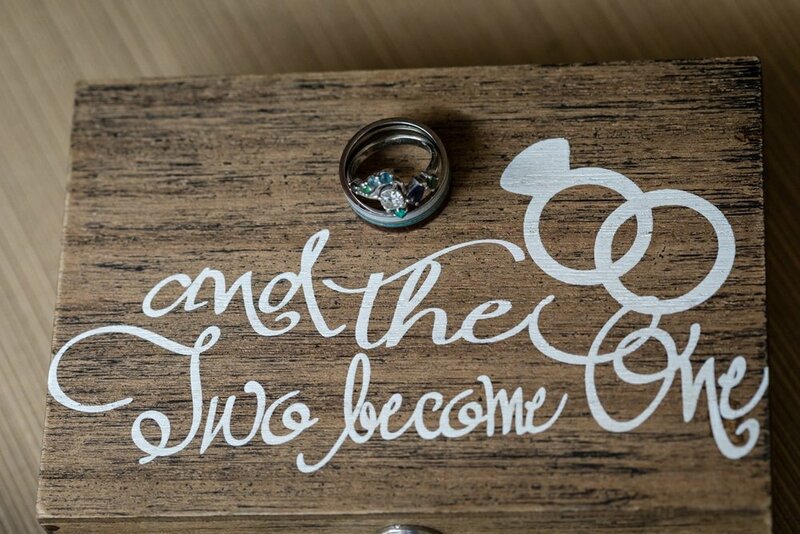 While looking for details to photograph, the first thing that caught our eye was their unique and gorgeous handmade wedding rings that looked looked great in and on their personalized wooden wedding ring box. As Cassie and her bridesmaids started to style their hair and put on their wedding day makeup, we noticed Cassie's carefree personality and the bond between her, her friends, and family. 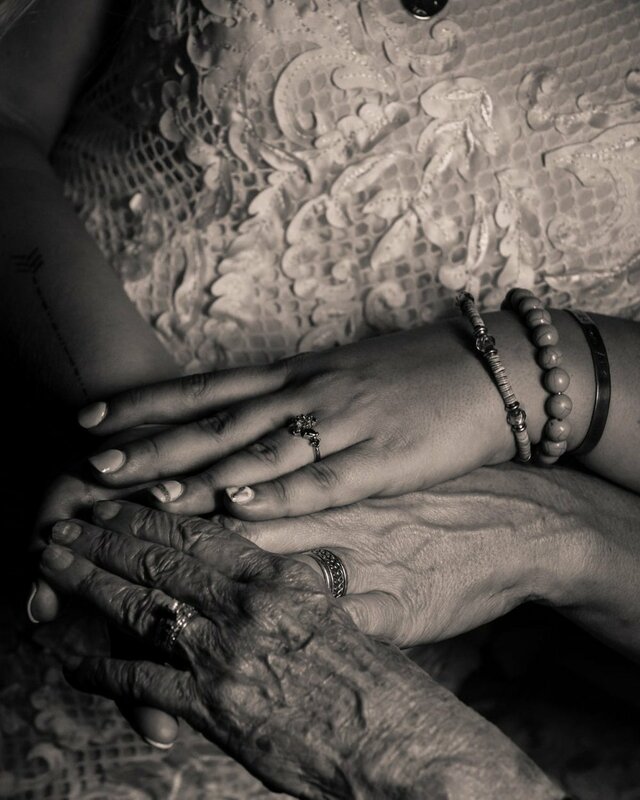 It really stands out in the pictures of her having her hair braided and arranging her bridal crown, and afterwards while sitting on the bed with her family after putting on her beautiful wedding dress. Before heading off to the ceremony location, Andrés went to the groom's suite to take photos of Jay, the groomsmen, and the guys in his and Cassie's family. They too were close, but in a guy's way, especially Jay and his father. From Hotel Tamarindo Diria, it was a short drive to Langosta Beach Club. We went with the groom and the groomsmen to take photos of the wedding site and decorations before the wedding, and to be able to photograph the bride as she walked to arm in arm with her father. We also were able to take great photos of the groom waiting at the altar and of family and friends. The wedding arc was styled perfectly for a tropical beach wedding: it was ornamented with green palm leaves. Along the aisle leading to the alter, there were bunches of flowers next to wood-framed cases with candles inside. It made for great pictures of Cassie in her lovely wedding dress walking to the altar as Jay looked on with anticipation at his soon-to-be-bride with the Pacific Ocean in the background. It was a beautiful event. It was a bit before sunset. Cassie's brother ministered the ceremony. The rays of the setting sun cast a beautiful warm glow on Cassie and Jay. They were surrounded by family and friends as they said "I do". A slight breeze meandered through Cassie's hair. The sound of softly crashing waves accented the emotional moments. 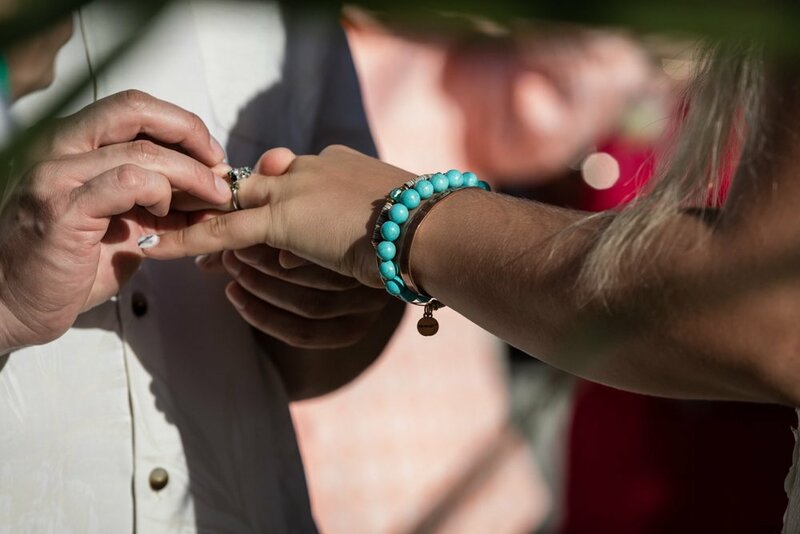 After exchanging their wedding rings and having their first kiss as a married couple, Cassie and Jay's faces broke into an enormous smile of utter happiness. As they walked down the aisle hand in hand, their family and friends erupted in cheers, applause, and smiles. It was a beautiful event filled with beautiful moments. After the ceremony, Cassie and Jay wanted beach wedding portraits. 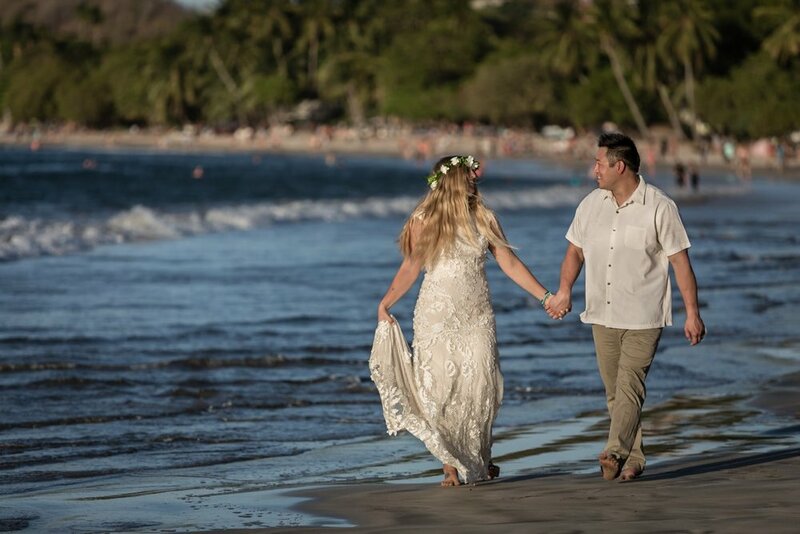 What would an amazing beach wedding be without bride and groom portraits on the beach! The lighting and scenery, was just perfect. So where the bride and groom!! We got great photos of them walking along the shoreline holding hands, as if the rest of the world ceased to exist, which we're sure it did for them. Then we got a few romantic sunset photos them embracing and having an intimate moment. To add variety to their wedding portraits, we continued the portrait session in the garden at Langosta Beach Club where we captured the love Cassie and Jay so clearly have for one another. What a fun family! They had a great time during the reception on a poolside terrace with beach and ocean views. 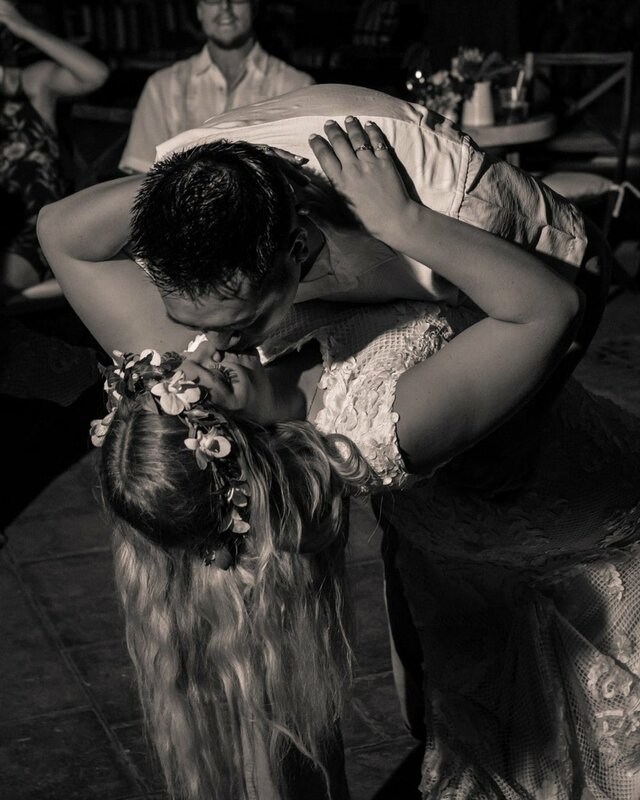 Cassie and Jay danced their first dance as their family and friends cheered them on, especially when they had a romantic and dramatic kiss. The speeches were filled with well-wishing and words of love and praise. 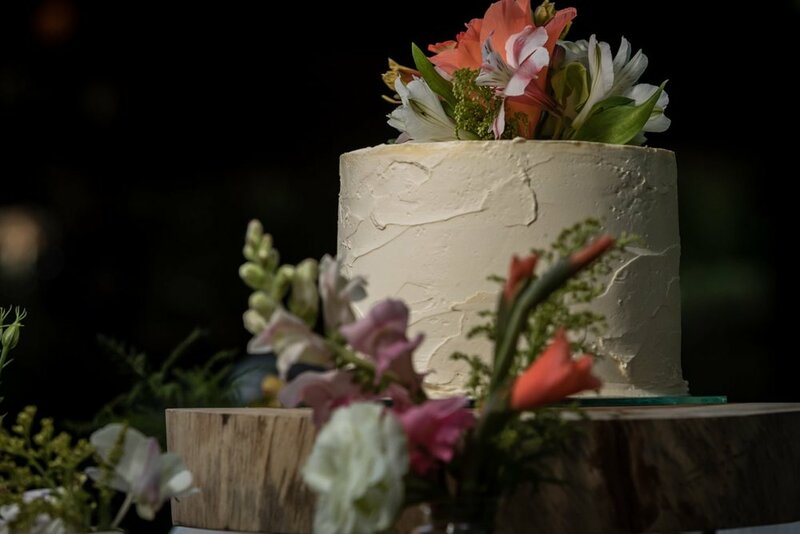 The newlyweds cut their amazing wedding cake hand in hand and with loving smiles and had a blast feeding each other a bit cake. For the entertainment - as if this were not entertaining enough - Cassie's brother played the guitar and sang cover songs for the wedding party. It was a wonderful wedding, and Cassie and Jay a wonderful and beautiful couple. 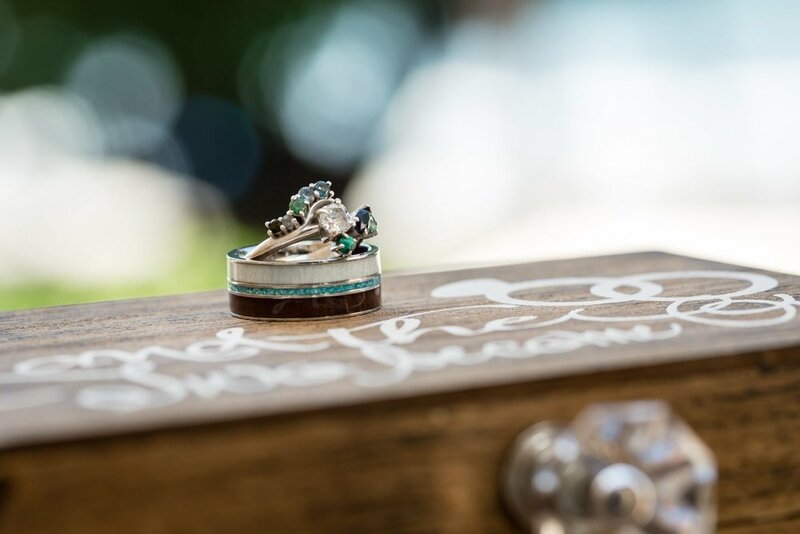 Thank you Cassie and Jay for having us as your wedding photographer. We wish you and Jay the best! 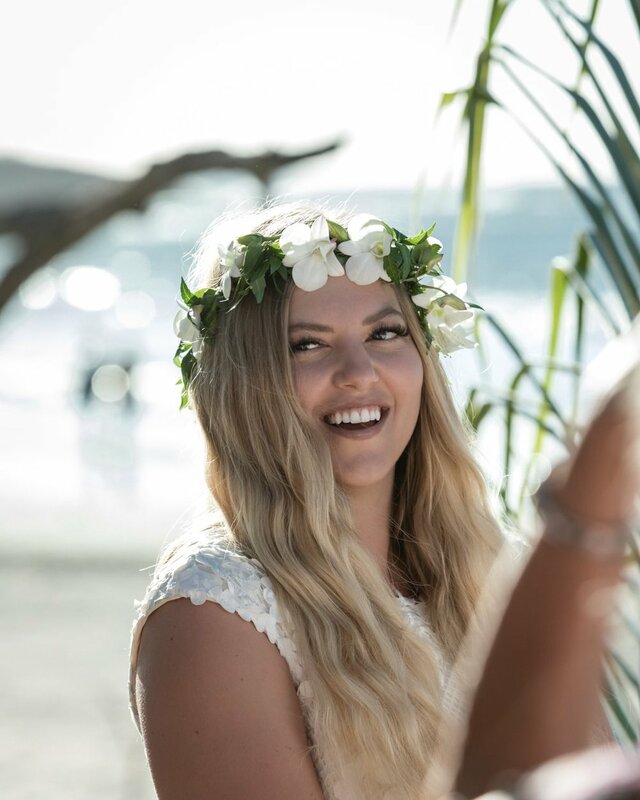 We would also like to thank Meghan Cox and her amazing team at Mil Besos who did an amazing job of organizing Cassie and Jay's Costa Rica destination wedding. Thank you Meghan!! Isn't love grand? We think so!